Following up on the deployment of gliders and drifters in 2018, further deployments took place in March 2019, timed to coincide with spawning of a diversity of reef organisms. 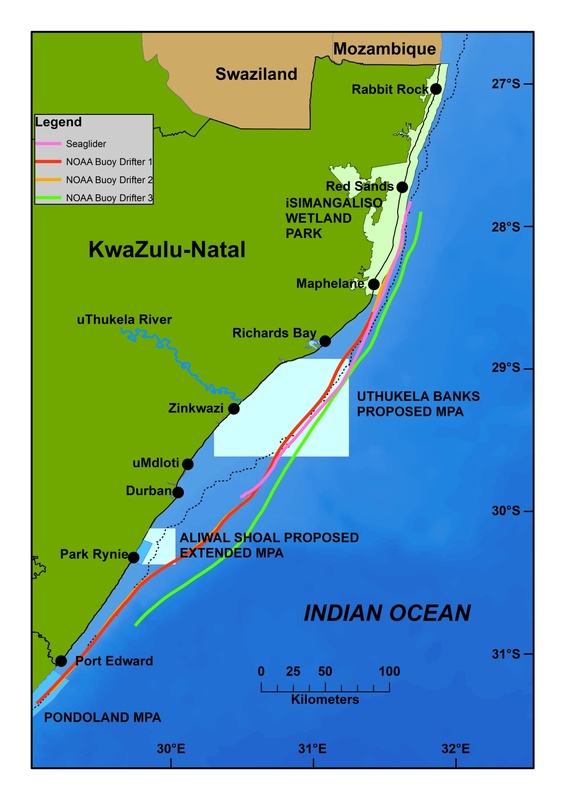 As a combined initiative as part of CSIR’s GINA (Gliders in the Agulhas) project and Project CAPTOR (Connectivity And disPersal beTween prOtected aReas), a Seaglider and 3 current drifters were released off Red Sands reef in the iSimangaliso Wetland Park early in the morning of 15th March. The glider and 2 drifters went in at the surface where the sea floor was around 300m deep, while the remaining drifter went over a depth of around 800m. Demonstrating the impressive power of the fastest western boundary current in the world, the 2 inshore drifters were already in the Pondoland Marine Protected Area more than 400 km away by Monday morning – 72 hours later. Imagine larvae caught in the Agulhas Current – if there are no suitable inshore currents to help them recruit to favourable areas, they will be lost forever, swept out into the vast blue open ocean. 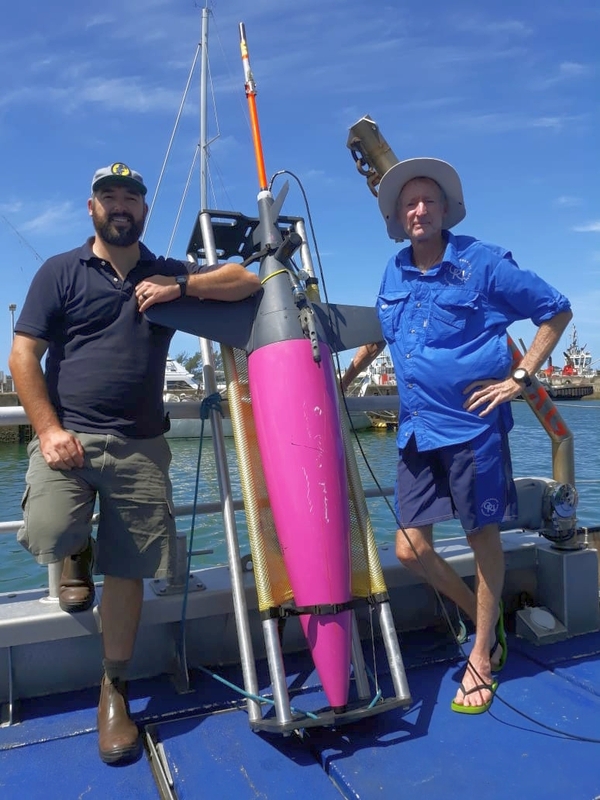 Because even the glider was taken so fast by the current, it will have to be retrieved off Port Elizabeth, rather than off Durban as intended; it will be redeployed soon once it is brought back to KZN, to continue collecting valuable data on current conditions.